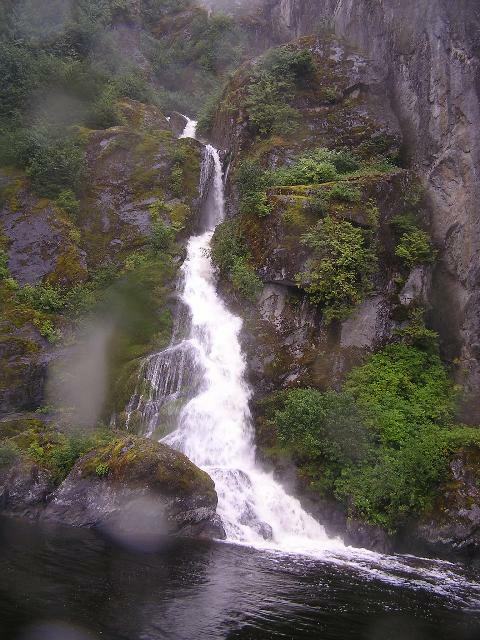 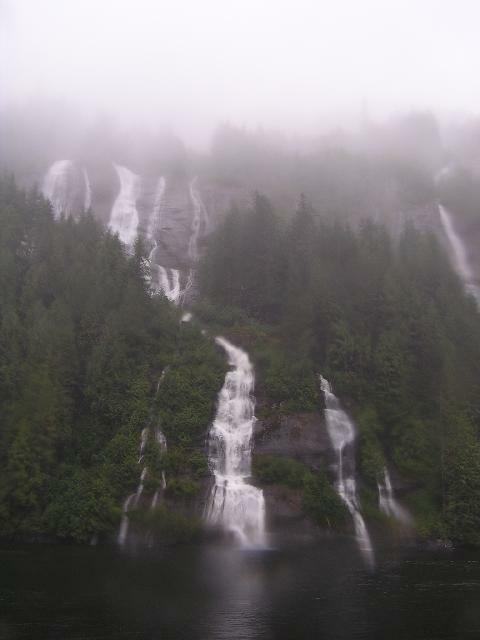 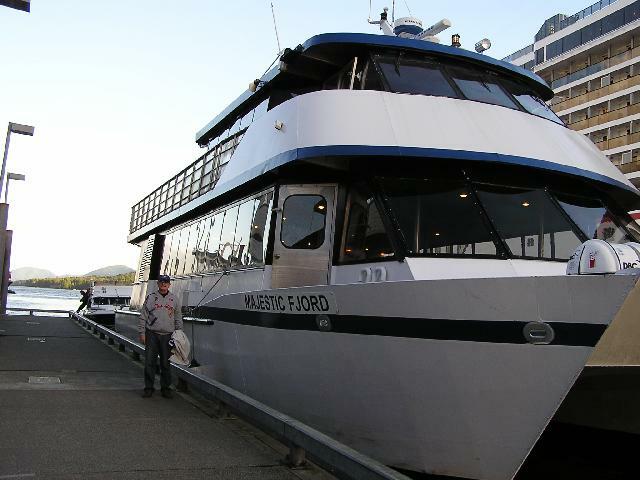 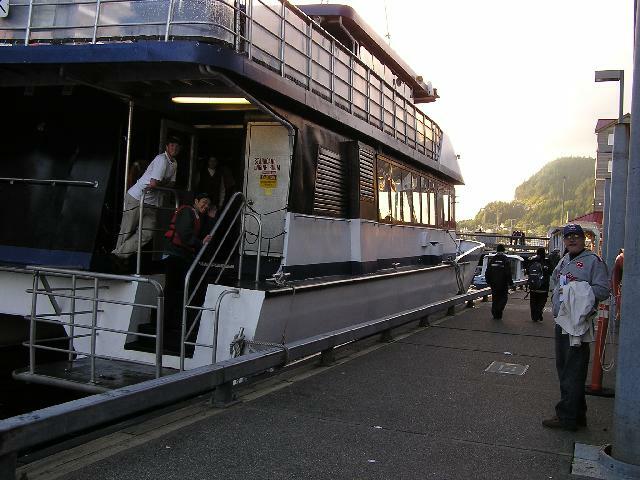 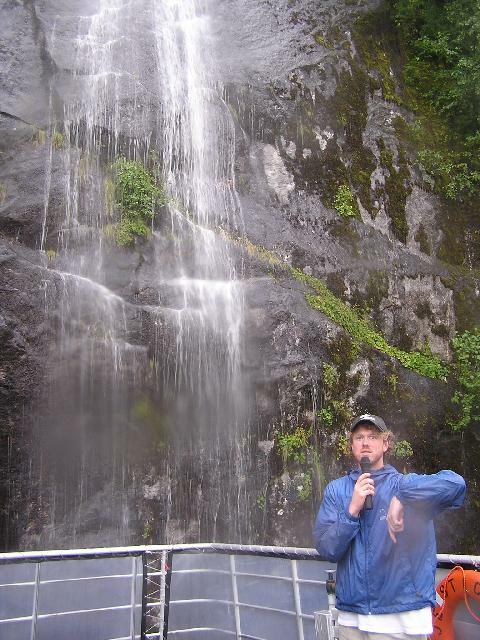 Notes: I went to Misty Fjords National Monument in Alaska September 3, 2007 when I took a tour into the fjords from Ketchikan, Alaska on the Majestic Fjord cruise boat through Alaska Cruises, Inc. 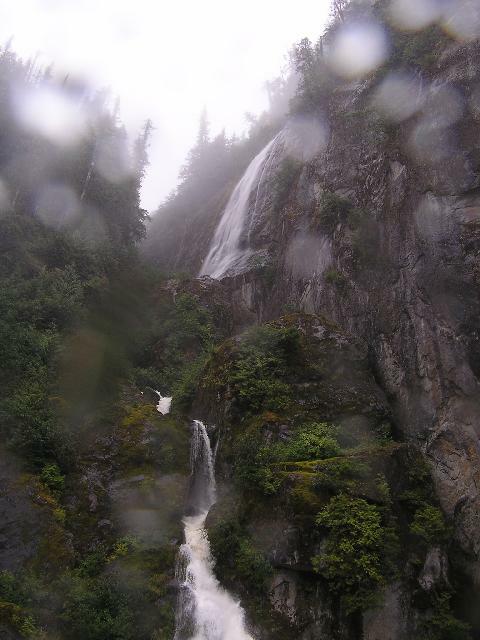 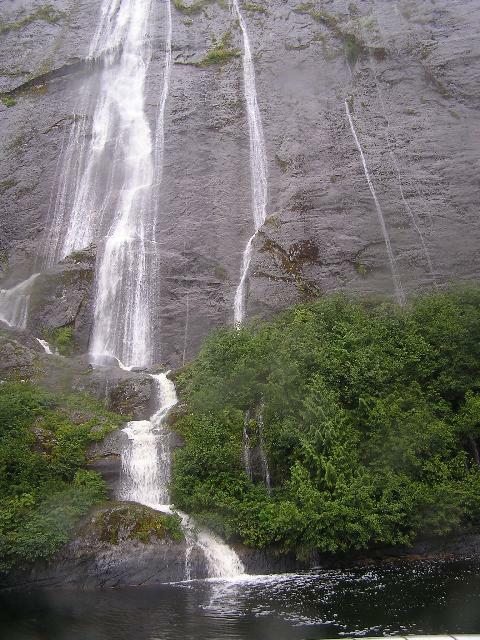 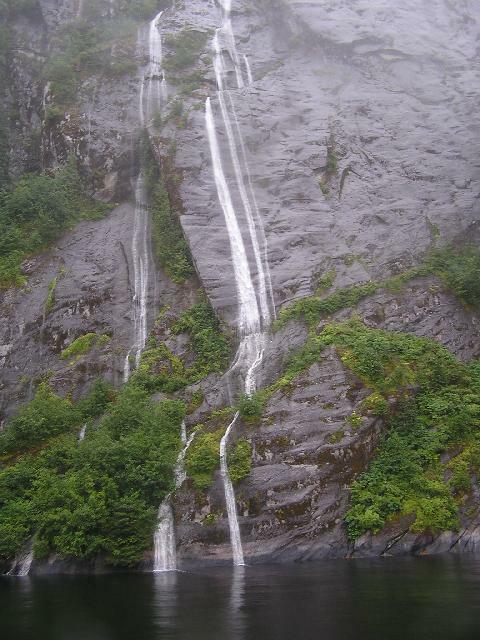 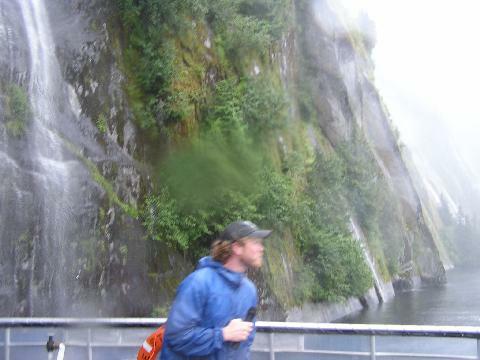 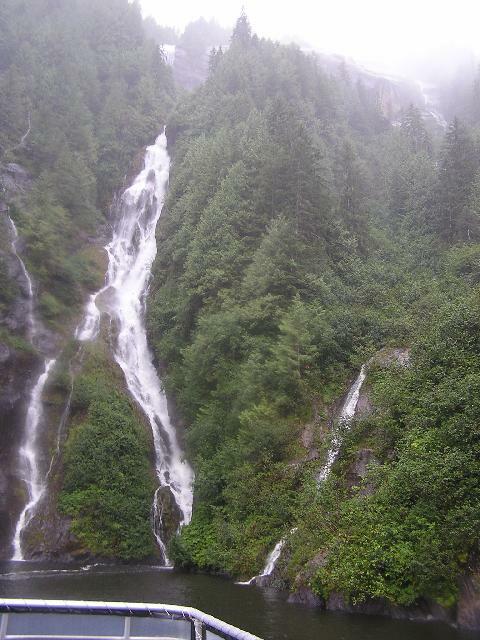 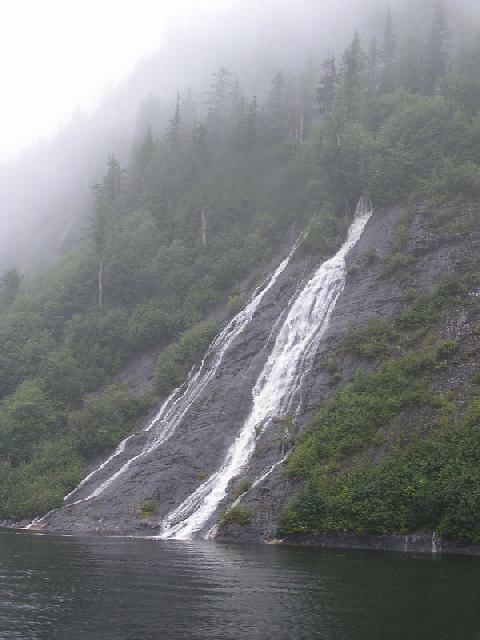 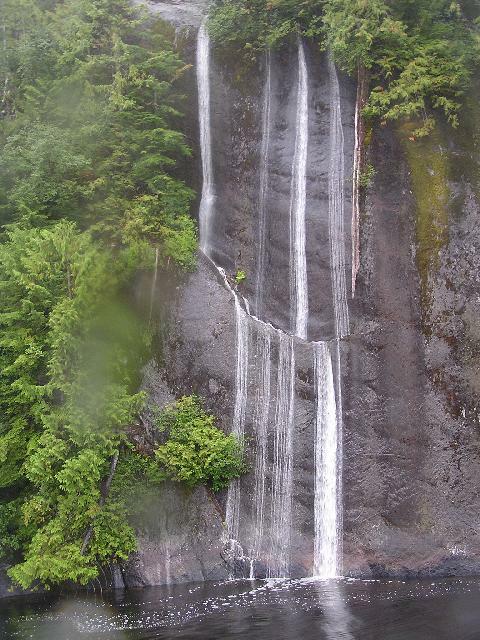 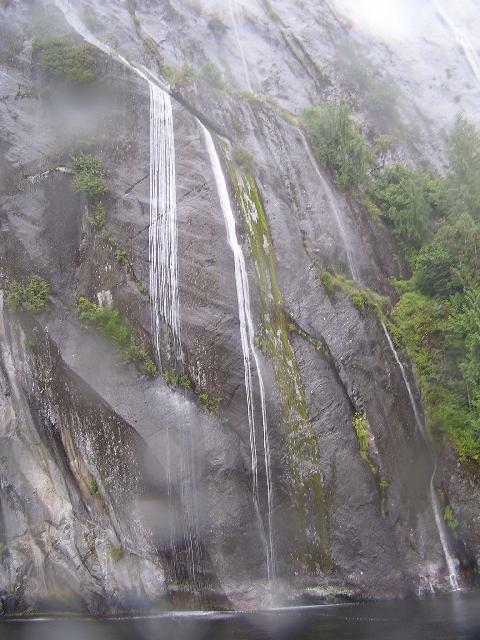 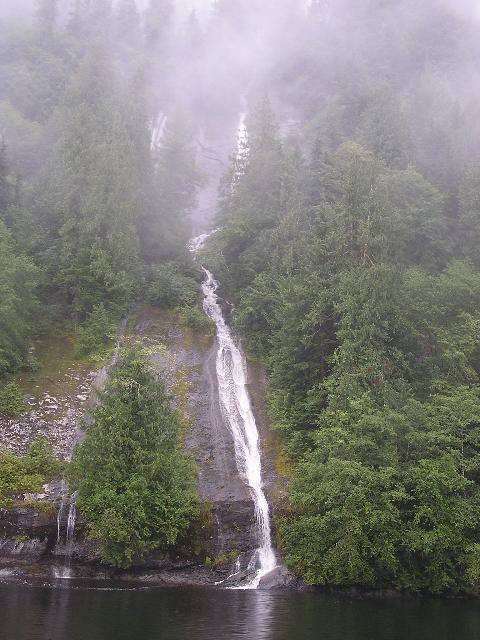 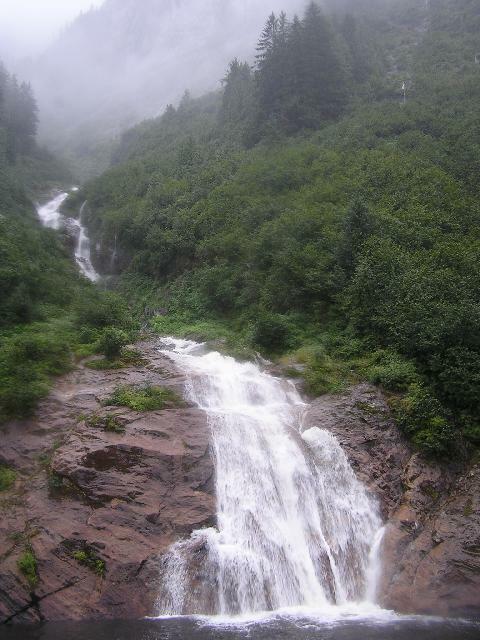 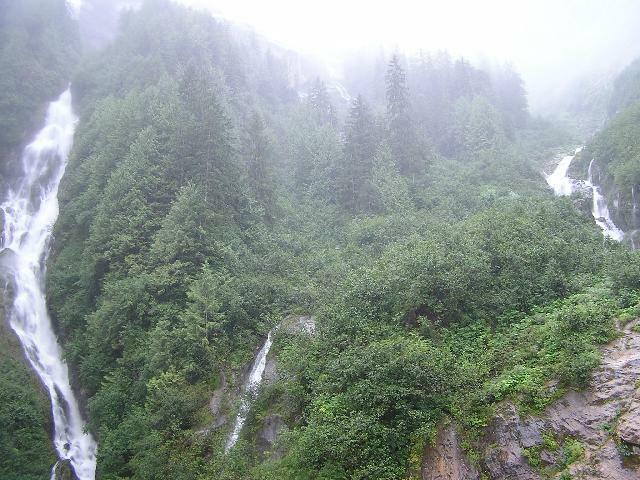 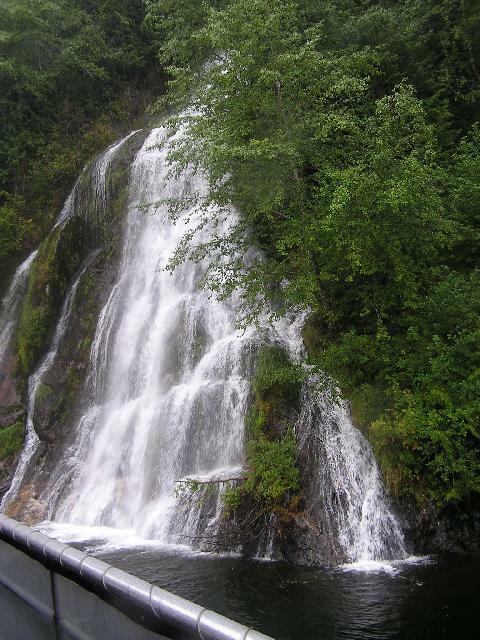 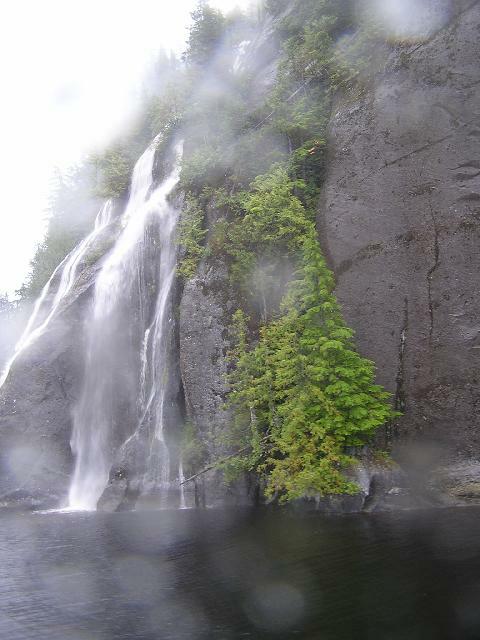 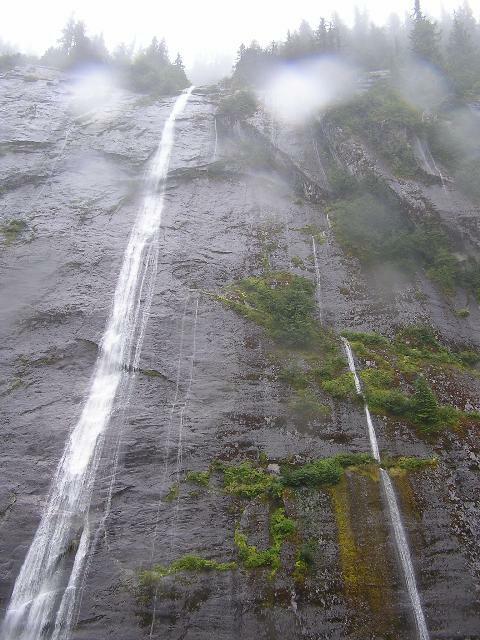 There were hundreds of unnamed waterfalls flowing down the 3000 foot cliffs from both rainfall and melting snow above. 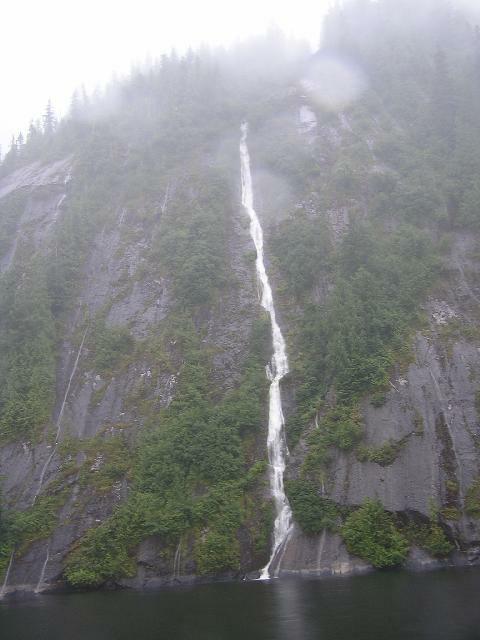 Here are a few of the many waterfall photos I took on this tour.